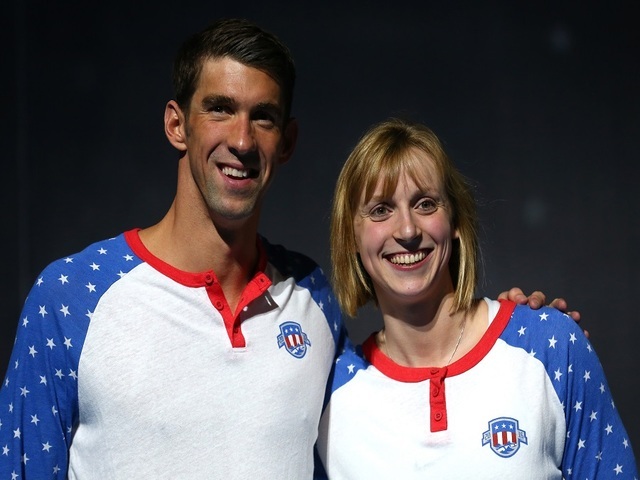 Once upon a time, famed swimmer Katie Ledecky was just an aspiring athlete and apparent fan of Michael Phelps. Now, a photo of the stars’ quick meeting 10 years ago, far before Ledecky was on the swimming world’s radar, is taking the internet by storm. According to Time , the 2006 image shows a 21-year-old Phelps, now the world’s most decorated Olympian, signing an autograph for a 9-year-old Ledecky. It first appeared in a 2014 New York Times story. Now, about 10 years after that photo was snapped, Phelps, now 31, and Ledecky, now 19, have both taken home gold in the 2016 Olympics – Phelps in the 200-meter butterfly and 4 x 200-meter freestyle relay, and Ledecky in the women’s 200-meter freestyle.